Support the site. Get cool benefits. Upgrade to Premium today! We know you love Dawnbase, and want a way to help support us so we can carry on running the site, keeping you updated with news, guides and full champion info. So we're offering a new Premium membership upgrade. 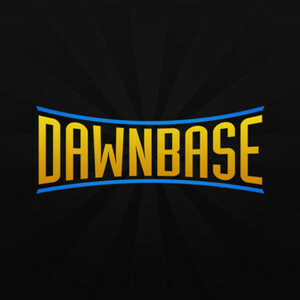 Buying a Premium membership directly supports Dawnbase. The money goes towards helping cover the server costs, as well as supporting those who run and maintain the site. We'd love to be able to work on this site full-time and make it completely awesome, and your support would go towards making that a reality. Let's face it: Ads are poop. They slow down your loading speed and distract you from the main content. But fear not! Premium members are shielded from all advertising across the site. Are you an Infinite Crisis streamer? Premium members who have Twitch.tv stream info on their profile are added to our Promoted Streamer rotators in the sidebar of every page, as well as a high visibility spot on our front page, promoting your stream across the site to all of our visitors. This is a great way to build up your audience and become more well-known as a streamer. Everyone will be able to immediately see you're a Premium member and Dawnbase supporter. Your avatar will have a unique border across the website, and you'll have access to all of the premium avatars, including alternate Infinite Crisis costumes. Don't like your username? Had your in-game name changed from FunkyMonkey to PRO_FunkyMonkey and want to reflect your new team placement on Dawnbase too? Premium members can change their username at any point. When you purchase a Premium upgrade, it doesn't just apply to Dawnbase — it carries across your BreezeBlue ID on every website we have! For example, you could head over to HOTSbase and continue to enjoy all of the benefits of Premium on that site too. 3 Months Premium at $3.33/mo Great for testing out Premium. 6 Months Premium at $2.99/mo Our most popular option. 12 Months Premium at $2.50/mo Serious about supporting us? Get this. Have a promotional code? Log in or sign up (it's free) to redeem your code! Will I be charged again once my Premium runs out? No. Buying any Premium is a one-off charge, not recurring; you won't be billed again once your Premium expires. If you like it, you can buy more. If not, you can safely forget it. Can I stack Premium time? Yes. For example, if you have one month left of Premium, and purchase three more months, you'll end up with four months of Premium. How do I add myself to the Promoted Streamer box once I have Premium? Add your twitch.tv username to your Dawnbase profile, via the Edit Profile page, under the basic info tab. I can't or don't want to use a credit card. Can I use PayPal? Please note that PayPal sometimes has a delay in processing successful payments and notifying our server of them.